Dinas Camping01341 241585work Touring & Camping ParkDinas Camping is a small quiet site which allows campfires and is ideal for families, couples and hill walkers. Pre-erected glamping bell tent and camping pod also available. 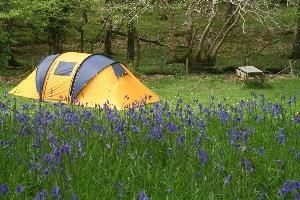 Dinas Camping is a small quiet site which allows campfires and is ideal for families, couples and hill walkers. Pre-erected glamping bell tent and camping pod also available.